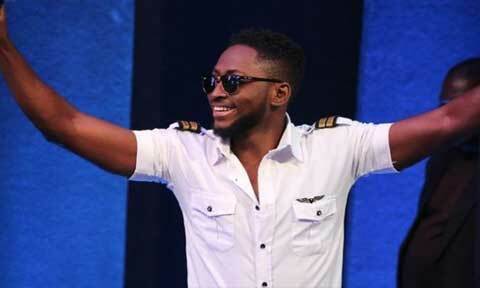 Miracle Igbokwe has been declared the winner of the third season of Big Brother NaijaThe 24-year old Pilot and model scored 38.18 per cent of the votes to beat the closest housemate, Cee-C who grossed 28.04 per cent of the votes. Imo State-born Miracle walked away with the total prize of N45 million comprising of N25 million cash, an SUV worth N12million, an all-expenses paid vacation for two worth N4.7million and a N3.3million household equipment comprising of electronics and other gadgets. Other three housemates have left in this manner of Nina with 4.18 per cent of votes, Alex with 7.07 per cent and Tobi came third with 22.53 per cent. The show host, Ebuka Uchendu said this year’s edition of the game tagged ‘Double Wahala’ garnered unprecedented 170 million votes with 30 million votes in the last week of the show. The were music performances by star acts Davido, Mr. Real and D’ice. Cee-C is the first runner up Big Brother Naija 2018. BBNaija 2018 finalists were Nina, Alex Tobi, Cee-C and Miracle. The Big Brother Naija 2018 reality tv show has now ended.